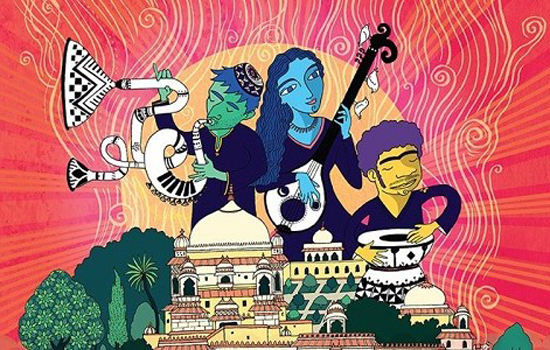 The Udaipur World Music Festival (UWMF) is a city-wide, multi venue music festival featuring 150 global artists and collaborations with participation from over 20 countries such as Spain, Italy, France, Cuba, Brazil, Switzerland, and many more, with a footfall of over 50,000 people every year. The upcoming 4th edition of this annual festival is scheduled from the 15th - 17thFebruary 2019 with patrons and music lovers from the world looking forward to it. The Udaipur World Music Festival is an annual festival which is conducted every year at the same time, featuring unparalleled live performances with the city of lakes as a background and celebrates cultural diversity at its best. The festival also features the local Rajasthani talent and gives a valuable platform and exposure to the local artists and the people of Rajasthan and has well spread out venues to provide a holistic experience to the music lovers travelling from across the world, where energetic youthful music brings together people from all age groups and sections of society.